Teachers got hooked! – Poisson d’avril ! In the United States, students get excited about April Fools’ Day for the pranks. Here at EFDM, like in France, our students have other ideas in mind on April 1st. The day typically begins with students discreetly drawing various types of fish on paper. Some fish are colorful, some are plain, some have words on them, some are big and some are small. The fish are then cut out and a piece of tape is put onto each fish. This is when the excitement begins…Students plot, scheme, and patiently wait for their opportunity to stick the fish onto the backs of teachers without them knowing. 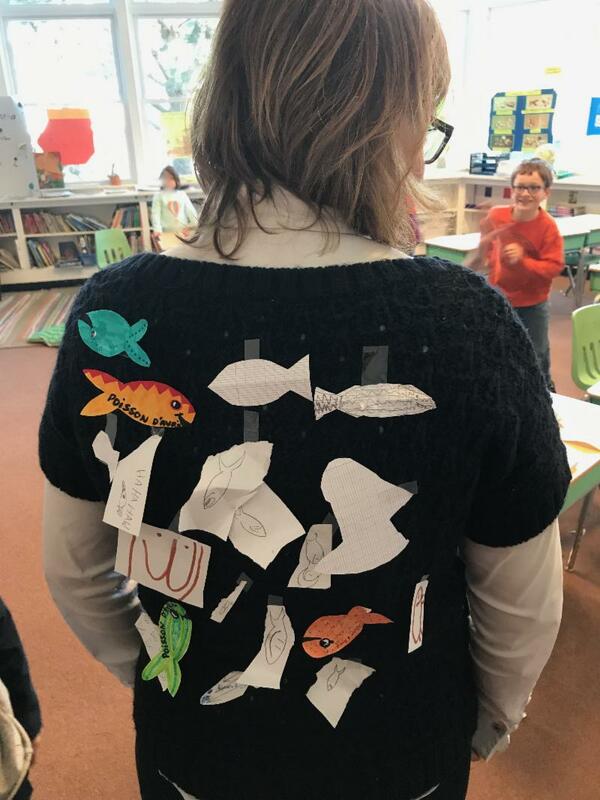 Our teachers lovingly ignore it, pretend they don’t know what happened, and spend the entire day with the fish hanging on their backs, like Sophie pictured above. 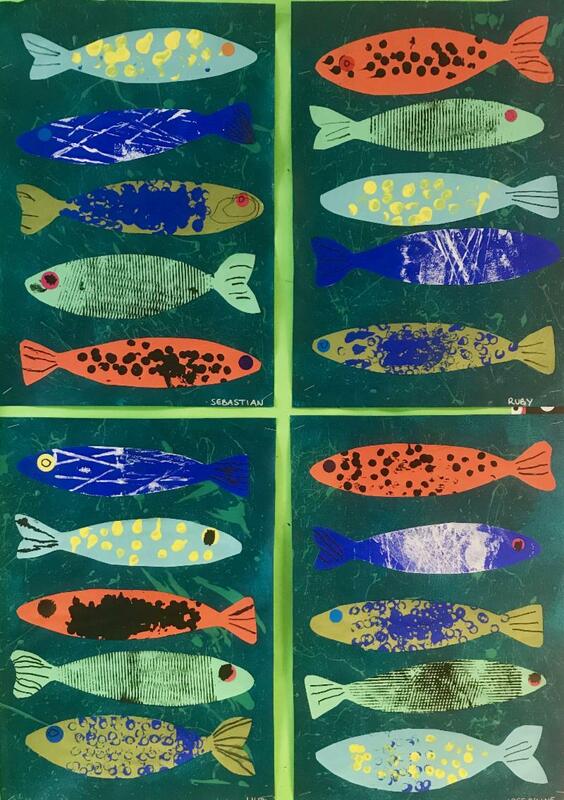 And speaking of fish, don’t forget to check out these beautiful fish paintings from our Early Childhood students that were inspired by the work of Elois Renouf. Perfect timing with Poisson d’avril, as well as the upcoming fishing season here in Maine!